GoByte (GBX) makes using cryptocurrency easy for merchants and consumers. GoByte Pay is more than just a payment processing solution that allows merchants and professional service providers to accept cryptocurrency payments for goods and services. GoByte Pay also has an integrated multi-coin digital wallet and tools that allow you to invoice, send, receive and manage cryptocurrency payments. GoByte Pay has low transaction fees (priced lower than credit cards, PayPal and Square), payment processing times averaging 1.3 seconds per transaction and integrated tools which make it as powerful as it is easy to use for businesses and their customers who want to pay with GoByte (GBX), Bitcoin (BTC), Ethereum (ETH) and other cryptocurrencies. Find out how you can accept cryptocurrency payments with no withdraw fees. GoByte Pay makes accepting cryptocurrencies easy. Customizable multi-coin capabilities and integrated tools for businesses make it powerful. Increase profits with low transaction fees competitively priced below credit cards and other traditional payment processing solutions. GoByte Masternode holders earn GBX coins which may be accumulated, spent or withdrawn from a GoByte Pay wallet with no withdraw fees. GoByte Pay has the tools businesses need to accept and manage digital assets. Instant crypto checkout with easy to use cart plugins, advanced buttons, invoice builder, and an API for custom integrations. If you’re looking to start accepting cryptocurrencies for goods and services, GoByte Pay was developed with you and your customers in mind. cryptocurrencies easy, the GoByte Multi-Coin wallet lets you securely store and manage GoByte (GBX), Bitcoin (BTC), Ethereum (ETH), Dash (DASH) and other cryptocurrencies. GoByte (GBX) Masternode holders can automatically add newly minted GBX earned from block rewards, directly into the GoByte Multi-Coin Wallet. Download the GoByte Multi-Coin Wallet for your operating system. You have 100% control over your GoByte coins. Using cryptocurrency just got easier. 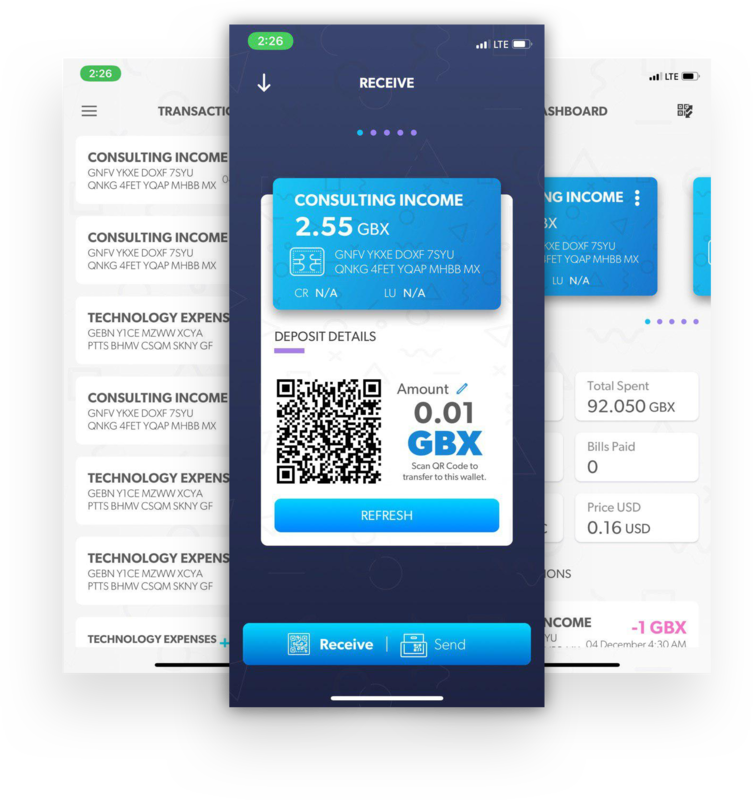 GoByte (GBX) is developed on masternode technology which provides near instant and secure payments utilizing InstantSend Technology to verify payments across the GoByte Network. With payment processing times averaging 1.3 seconds per transaction, the GoByte Network of miners and masternode holders process and verify all transactions on an immutable blockchain ledger securely and rapidly. GoByte Masternode holders earn GBX coins as block rewards for verifying transactions and helping secure the GoByte Network. GBX earned may be spent, traded, liquidated or accumulated into new masternodes to compound earnings. As a bonus, GoByte Masternode holders may withdraw GBX coins with no fees whatsoever. Be a part of a growing community and join our official chat groups and servers. Chat group members get the first chance to test new features and are the first persons to find out the news and announcements. Copyright © 2017-2019 GoByte Foundation. All Rights Reserved.